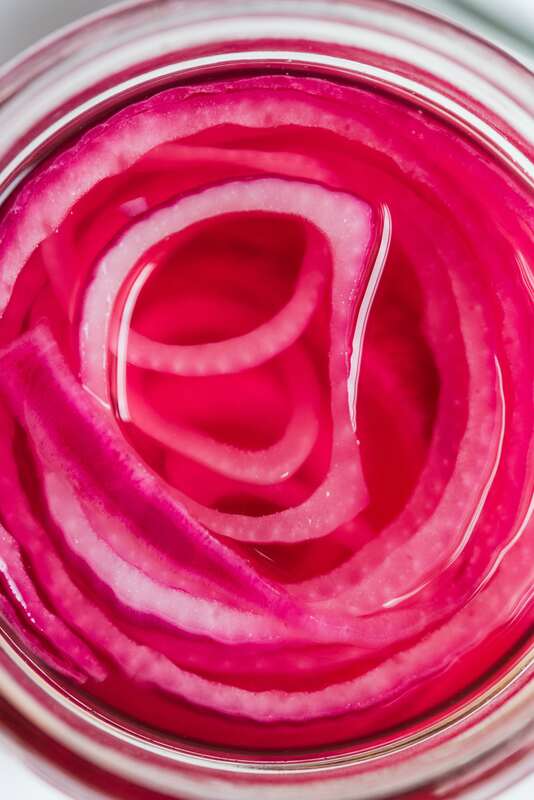 We’ve been eating copious amounts of pickled red onions lately. On tacos, on breakfast sandwiches, on salads piled high with watermelon and feta. The reason why is simple. I started playing around and realized just how insanely easy they are to make and how they make basically everything more delicious. They might not work on chocolate cake. But then again, maybe they would! 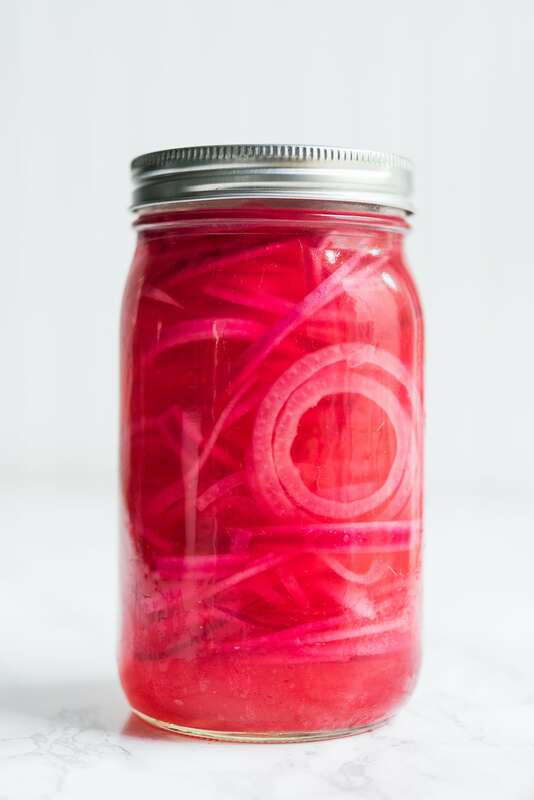 I won’t tell you how to live your life or how to eat your pickled red onions, I just have to insist that you make a jar. Five ingredients, no cooking, no fancy processes. 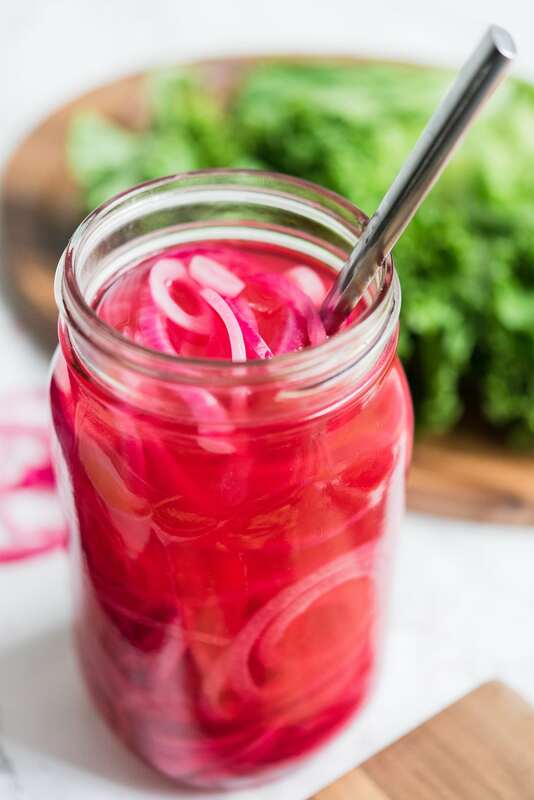 The result is a delightfully pink onion that even non-onion lovers will love – they don’t have any spice to them at all, but they have the best crunch! 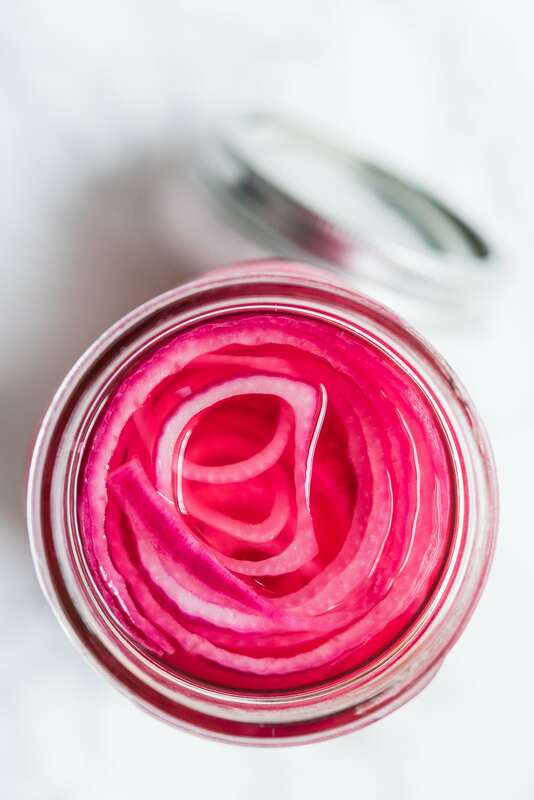 I usually make a big jar when I know I’m making something in the next day or so that I want to top with pickled onions. You can pickle them for just a few hours, but honestly I always make them at least the night before and let them pickle overnight. They’ll keep easily in the fridge for a few weeks, but that’s only if you don’t eat them all. I find that a jar is lasting us a week to ten days max at the moment. 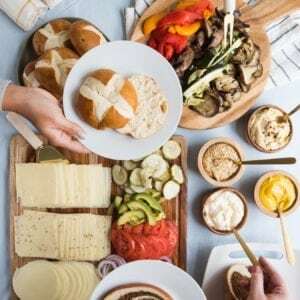 If you’re not sure you’l get through them simply cut this recipe (below) in half! Combine water, apple cider vinegar, sugar and salt in a small mixing bowl. Whisk until salt and sugar are dissolved.